The 30-Day Aluminum Flashlight from UST gets its name from the capability to run for an incredible 30 full days of continuous use on Low mode. 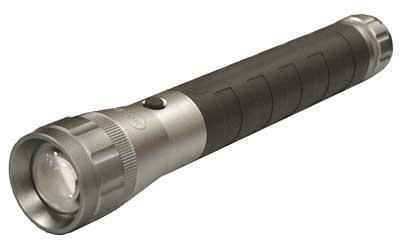 This flashlight also gets an impressive 16 hours of continuous use on High mode while producing 300 lumens of light. This is an amazing light for camping or just to keep around the house for general use and power outages. 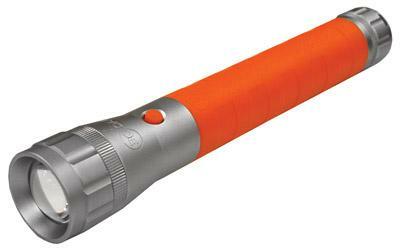 The 30-Day Flashlight is rugged with aluminum casing supported by ABS plastic, comes in a variety of colors, and rubberized areas providing a tested 1 meter of impact resistance. 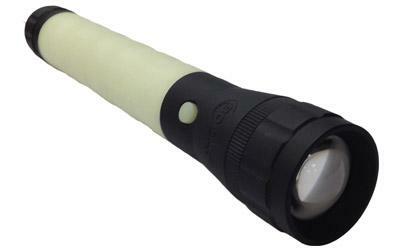 The 30-Day Aluminum Flashlight is invaluable for long outdoor excursions. The greatest part? You get these impressive brightness levels and runtimes all from three convenient D batteries.